Understand that I am in NO way advising you NOT to take your prescribed medication. Research is clear that What you believe will work, will work. If you are satisfied taking medication, by all means continue to do so. sometimes with better results, and most of the time with fewer complications. It seems that typical American "Health Care" has very little to do with HEALTH! Alternative and Complementary Medicine is a growing field. Natural remedies can be found, if you look for them. Don't be fooled into believing that any treatment "covered by insurance"
is always better than one that isn't. because of the incredible amount of red-tape involved and the slowness of payment. A major problem in our country is that we're a "microwave" culture. We want solutions to our problems that are FAST and EASY. > Is there something I can change in my environment that will make me feel better? Can I get away from what might be making me sick? > Is there something I can do, or stop doing, that will help? > If not, is there something available over the counter that might work? 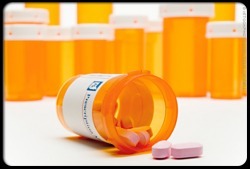 Side effects of OTC products are usually better known and less hazardous to your health. DON'T GET HOOKED INTO A FLAWED SYSTEM! MOST OF THE TIME, YOU DO HAVE CHOICES! DON'T JUST BE A PAWN. exhorting you to "Ask your doctor" about ______ ." Don't just listen to the Pharmaceutical Marketing Team. of ANY medication you're considering. ALWAYS READ THE WARNING PAPERS WITH YOUR PRESCRIPTION! If it includes YOU, that makes it 100% for you! There are whole websites about them. The lists of side-effects are long and sometimes worse than the original problem! has the potential to effect EVERY part of your body. Some side-effects are known right now. Many might not show up for years! Don't just be a medical pawn. A recent commercial about Lyrica shows a beautiful woman gliding through life. Pregabalin is an anti-epileptic drug, also called an anticonvulsant. It works by slowing down impulses in the brain that cause seizures. that send pain signals across the nervous system. Pregabalin is used to control seizures and to treat fibromyalgia. It is also used to treat pain caused by nerve damage in people with diabetes (diabetic neuropathy) or herpes zoster (post-herpetic neuralgia). Pregabalin may also be used for other purposes not listed in this medication guide. What are the possible side effects of pregabalin (Lyrica)? What is the most important information I should know about pregabalin (Lyrica)? You may have thoughts about suicide while taking this medication. Your doctor will need to check you at regular visits. Do not miss any scheduled appointments. If you are taking pregabalin to prevent seizures, keep taking the medication even if you feel fine. You may have an increase in seizures if you stop taking pregabalin. Follow your doctor's instructions. If you stop taking pregabalin suddenly, your seizures may become worse or you may have withdrawal symptoms. Withdrawal symptoms include headache, sleep problems, nausea, and diarrhea. Do not stop using pregabalin suddenly without first talking to your doctor. You may need to use less and less before you stop the medication completely. Carry an ID card or wear a medical alert bracelet stating that you are taking pregabalin, in case of emergency. Any doctor, dentist, or emergency medical care provider who treats you should know that you are taking a seizure medication. Pregabalin is described chemically as (S)-3-(aminomethyl)-5-methylhexanoic acid. The molecular formula is C8H17NO2 and the molecular weight is 159.23. IS THAT REALLY WHAT I WANT TO TAKE INTO MY ALREADY-ILL BODY??? ?